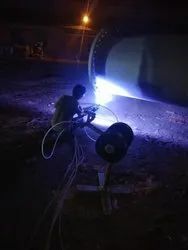 Leading Service Provider of tsz coating, thermal spray zinc coating, thermal spray zinc coating on chimney, thermal spray zinc coating on structure, thermal spray zinc coating on pipeline and thermal spray zinc coating on tank from Ahmedabad. Metatech Thermal Spray Pvt. 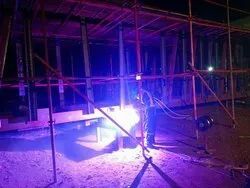 Ltd. is one of the Largest companies in the field of Thermal Spray Zinc Coating in India. Thermal Spray Zinc Coating is very useful for protection against corrosion. 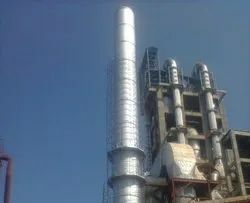 Thermal Spray Zinc Coating is done over the components having temperature -20 degree to 440 degree Celcius, that means it is a beneficial for high temperature application. Thermal Spray Zinc Coating provides excellent corrosion protection in moist conditions. Metatech Thermal Spray Pvt. 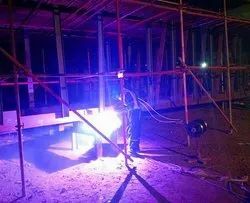 Ltd. is one of the Largest companies in the field of Thermal Spray Zinc Coating in India. Thermal Spray Zinc Coating is very useful for protection against corrosion. Thermal Spray Zinc Coating is done over the components having temperature -20 degree to 440 degree Celcius. Metatech Thermal Spray Pvt. 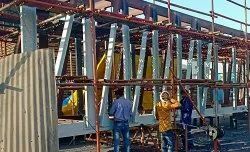 Ltd. is one of the Largest companies in the field of Thermal Spray Zinc Coating in India. Thermal Spray Zinc Coating is very useful for protection against corrosion. 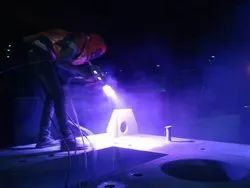 Thermal Spray Zinc Coating is done over the components having temperature -20 degree to 440 degree Celcius. It provides high corrosion resistance to structures in salt water and humid envirnment. Metatech Thermal Spray Pvt. Ltd. is one of the Largest companies in the field of Thermal Spray Zinc Coating in India. Thermal Spray Zinc Coating is very useful for protection against corrosion. 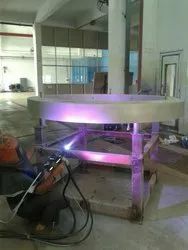 Thermal Spray Zinc Coating is done over the components having temperature -20 degree to 440 degree Celcius. 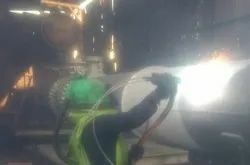 We provide High quality Zinc Coating over tanks. Metatech Thermal Spray Pvt. Ltd. is one of the Largest companies in the field of Thermal Spray Zinc-Aluminium Coating in India. We provide coating for wind mill bearings for Offshore Wind Mills for which SKF provide a warranty of 30 years.